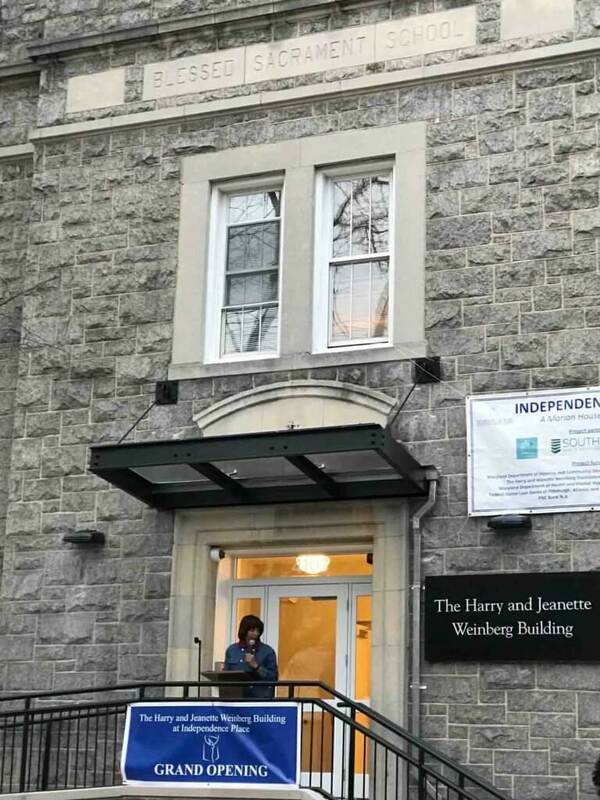 Wandering the halls of The Harry and Jeanette Weinberg Building at Independence Place and bumping into old friends Dec. 6, School Sister of Notre Dame Charmaine Krohe felt a sense of déjà vu. 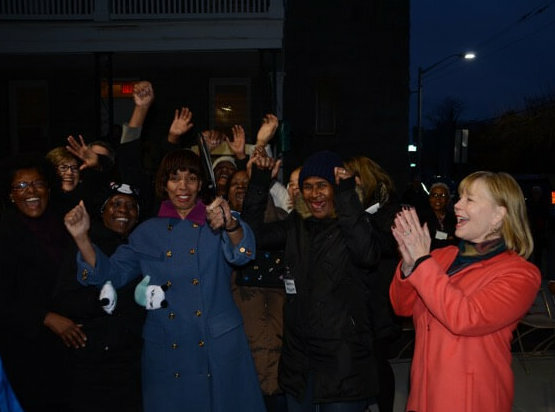 The occasion was the grand opening of a 22-unit apartment building in Baltimore’s Pen Lucy neighborhood, the largest capital expansion project in the history of Marian House, a nonprofit which since 1982 has been restoring women’s lives in Baltimore. The permanent family housing has transformed the former parish school at Blessed Sacrament, two miles north of St. Ann Parish. That’s where, in 2009, Sister Charmaine led a similar repurposing of a vacant school building into Mother Seton Academy, a tuition-free middle school. She heads the corporate board of Marian House, which was founded by the SSNDs and the Religious Sisters of Mercy. The latter’s ranks include Sister Karen McNally, the chief administrative officer of Stella Maris, who grew up a block south of Blessed Sacrament, on Cator Avenue. Her fellow graduates of Blessed Sacrament School, which opened in 1920 and closed in 1972, include the late Bishop William C. Newman, as well as Jerry Geraghty, class of 1964, who attended the grand opening as both a proud alumnus and father. Before she became campus minister at Notre Dame Preparatory School, her alma mater, Libby Geraghty Keady was director of grants and special projects for Marian House. The $6.1 million project includes the $808,000 purchase in December 2016 from the Archdiocese of Baltimore of the school, rectory and convent at Blessed Sacrament. Marian House has had a presence on the campus since 1994, when it began using the former SSND convent for transitional housing. Phase II of the Independence Place project will involve renovating both the convent and rectory to support its mission. Providing formerly homeless women with housing, education, job training and recovery from addiction, Marian House remains headquartered at the former St. Bernard Parish, where it offers transitional housing in the former convent, and permanent housing in the former parish school. Independence Place’s funding includes a grant from the France-Merrick Foundation, as well as state and federal assistance, in the form of Section 8 housing vouchers. Once that process is completed, residents can move in. They include Donna Colston, who, prior to a ribbon-cutting led by Baltimore Mayor Catherine Pugh, offered a moving 5-minute testimonial of how Marian House turned around her life. Colston grew up in St. Gregory the Great Parish, lost her way and 20 years to cocaine addiction, and became homeless in 2015, when her father died. Thanks to Marian House, she has been drug-free for 15 months and has her first job in “over 25 years,” working in housekeeping at Morgan State University. “This is my Christmas present,” she said, admiring the apartment which will also house her son, Keith Curtis. The ribbon-cutting concluded with a blessing from Father Joseph Muth, the pastor of St. Matthew in Northwood and Blessed Sacrament. He mentioned the latter’s Share a Meal program, which every Wednesday for two decades has opened its hall to do just that, and shared his hope that residents will join that community.